Maybe people around the world know them better than their neighbors but they can share their lessons of reducing hunger in your backyard, on your rooftop, anywhere you have room for a garden. ECHO, a non-profit organization based in North Fort Myers, aims to train people in sustainability, teaching them to grow their own fruits, herbs and vegetables. Locally, they are focusing on their community garden program to build awareness among communities in Southwest Florida and beyond. The key theme with ECHO is its workers teach, they don’t necessarily do. Flood says it is more effective to train people, especially in other countries, where language barriers can exist, and the organization has already made a difference in more than 165 nations across the globe. In Florida, they have helped plant community gardens in more than 40 locations, mainly schools, universities, parks, churches and other non-profits. The organization has been around for 34 years. “People think it’s a place where you can take a tour but it’s much more than that,” Flood said. ECHO does educational programs, conferences, seed exchanges, free trial packets of seeds for plants…basically anything with the potential for reducing hunger in a region. About 925 million around the world are hungry, according to the Food and Agriculture Organization of the United Nations. And the Partnership for Maternal, Newborn & Child Health show in their latest statistics that more than 9 million deaths occur annually with children under the age of 5. 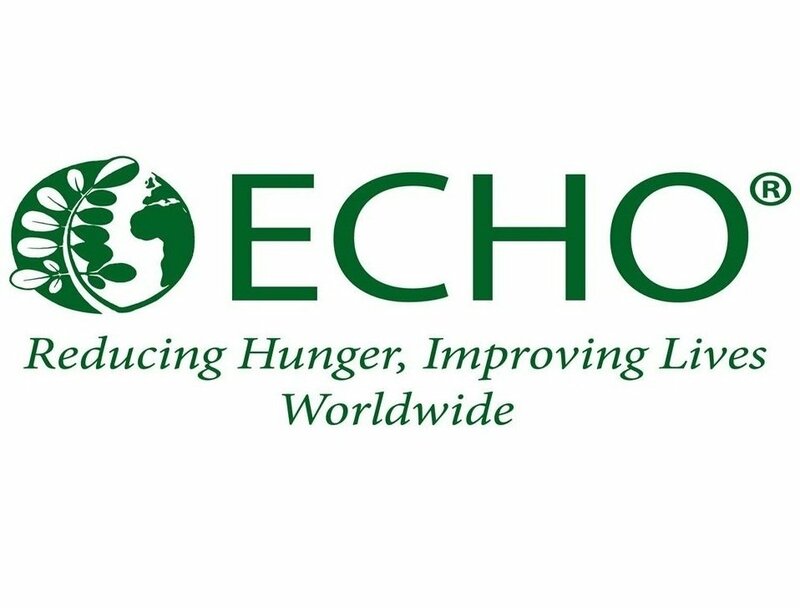 ECHO emphasizes the importance of sustainability. Flood says often the health of an urban core is worse than the health of a rural core because you lose so many options for natural food in a big city. But it doesn’t have to be that way. She remembers what she saw in Guatemala City, where houses stretched for dozens of blocks with rooftop gardens. If possible she would like to see the same locally, where they have already done training with groups such as the Pine Manor Improvement Association and Community Cooperative. With the latter, ECHO donated a bunch of fruit trees, and then the children were able to take that home and teach their parents to do it. “That can make a real difference,” she said.